Bunnell Street Arts Center is pleased to announce a transition to a bold, new shared leadership model. Founding Artistic/Executive Director, Asia Freeman moves deeper into curatorial and artistic leadership as Artistic Director. Adele Person, formerly Assistant Director, takes on the role and responsibilities of Executive Director. The move enhances organizational sustainability and brings the complementary strengths of each leader to bear. Innovation continues to characterize Bunnell’s leadership as it reconfigures internal dimensions from a traditional pyramid-shaped leadership structure toward a horizontal co-leadership model. The roles of Artistic and Executive Directors overlap and spark creative brainstorming, collaboration, and communication. Freeman and Person explored and practiced new roles in 2017. Freeman focuses on artistic vision, programming, grant writing, networking and advocacy. Person provides organizational and financial oversight, manages staff and office, facilitates the Board of Directors, and integrates the implementation of the ambitious artistic vision set forth by the Artistic Director. With enthusiasm and respect for Bunnell’s spirit of experiment and excellence, together Freeman and Person strengthen the artistic and organizational capacity of this innovative arts organization. Bunnell was created in 1991 by and for artists. Years ago, beginning in the 1930’s, homesteaders told stories around the coal stove in what was then a spacious hardware store in Old Town, Homer. This place has seen American, European, and Russian immigration and colonization. The place we now call Homer lies in the traditional lands of Dena’ina and Alutiiq people. We honor these people and the living culture that call this home. With equal parts historical acknowledgement and creative imagination, locals and visitors, indigenous and immigrant, seek creative forums in this historic center. Bunnell is a statewide leader of artistic presentation and education with innovative and non-traditional programs designed to shape and strengthen Alaska’s cultural economy. Bunnell presents visual art exhibitions, artist residencies, artists in schools, workshops, performances, concerts, film screenings, readings, artist talks and more. Bunnell engages Alaska’s diverse and widespread artistic community by cultivating and exploring new ways to survive and thrive as creative visionaries living in geographically distinct landscapes. Adele manages Bunnell Street Arts Center’s general operations. Bringing significant improvements in Bunnell’s organizational capacity since joining the Arts Center in 2008, Adele became Assistant Director in 2010. Adele has a BA in Philosophy from Rice University (’00) where she worked as a gallery docent and trainer for the Contemporary Art Museum in Houston for 3 years. She was selected as inventory manager for the Donald Judd Estate as it transitioned to a foundation in 2000. Self-employed for many years, she brings a broad and diverse skill set to her work for Bunnell. A seasonal resident of Halibut Cove, she is also President of the Halibut Cove Community Organization. 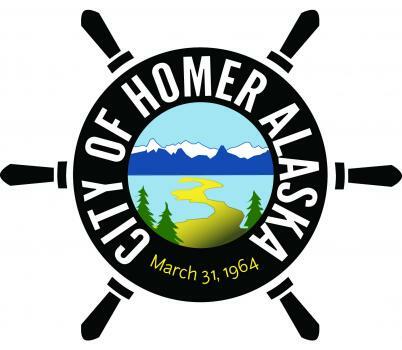 She serves on Homer’s Public Art Committee. 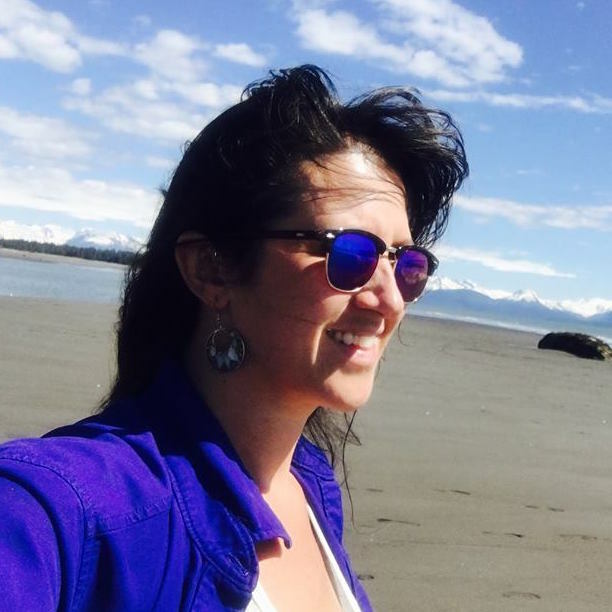 A life-long Alaskan, Asia returned to her beloved home town after college to help cultivate Alaska’s cultural economy. Asia began volunteering at Bunnell Street Gallery in 1992. She helped shape it into non-profit in 1994. In 2000 Asia was named Executive/Artistic Director of Bunnell Street Arts Center. 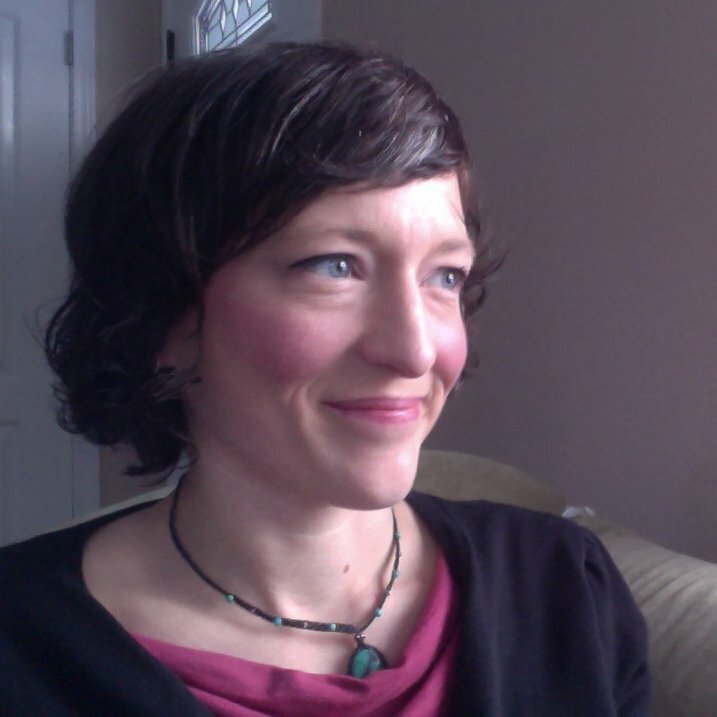 Asia frequently writes, curates and speaks about art in Alaska. She has been written about extensively in Alaskan newspapers and in Icebreakers. An active artist, Asia has exhibited in multiple solo and group formats annually since 1991. Her artwork is represented in Alaskan museum and private collections world-wide. Asia graduated from Yale College in 1991 and received an MFA in Visual Art from Vermont College of Fine Arts in 1997. She has taught art classes for the University of Alaska since 1997. Brianna Allen received her Bachelors in Studio Art and Entrepreneurial Studies, and her Bachelors in Fine Arts with a concentration in Painting from the University of Southern Maine in 2007. She has also studied at the National Latvian Academy of Art in Riga, Latvia. In 2008, her passion for adventure and painting brought her to Homer for the summer, while she painted portraits of nightlife vigilantes. She has lived in Homer since 2009 as a painter, baker, performer and art advocate. She helped Bunnell’s effort to galvanize Old Town through public art, gardens and developing new partnerships for Bunnell. She still remembers the first day she walked into the Bunnell Street Arts Center. Carla Klinker Cope earned a BFA from Oregon College of Art and Craft in 2003. She has lived and painted in Alaska, Oregon, Wisconsin and California. Born and raised in Homer, she is leader in Homer’s Cosmic Agents. Susan moved 5,000 miles to come to Homer to work and be involved in the arts. She had previously served for 10 years on the board of the Agassiz Neighborhood Council in Cambridge, Massachusetts, a non profit which ran an art-centered after-school program that also planned, funded, designed and built the Maud Morgan Art Center that serves both adults and children. Maura owns and operates Maura’s Café & Delicatessen, located in the Inlet Trading Post. Formerly, she was Board president of Kachemak Bay Family Planning Clinic. She caters Bunnell First Friday receptions, presents tastings, cooking classes and many local fundraising events to support Homer’s cultural sector. She studied art at Savannah College of Art and Design. Rita is a landscaper painter and a retired school teacher who has lived in Homer for 30 years. In education her roles included chair, secretary, advisor and community-school liaison. She has also served on the boards of the Soccer Association of Homer and the United Methodist Church. Ann-Margret is a studio artist specializing in fiber arts, collage and painting. She is a trained Teaching Artist who works for Artist in Schools. She offers workshops and classes, volunteers for KPBSD and many other local non-profits, serves on the board of Homer Fiber Arts Collective and owns and operates a private art studio. Deb is a retired teacher turned sculptor. She is passionate about many things in life, and in Homer. She is a commissioner on Homer’s Parks and Recreation Advisory Commission and volunteers in local schools. She serves in many local groups and organizations and views the arts as a catayst for positive change in Homer. Desiree was the recipient of Bunnell Street Arts Center’s Alex Combs Artist Award in 2014. She was selected as Artist in Residence at Bunnell in January 2016 and most recently was awarded the prestigious Rasmuson Foundation’s project award for her Invasive and Native Papermaking Project. After spending 8 years in Dillingham at Southwest Region Schools, and the next 23 working for the Prince William Sound Regional Citizens’ Advisory (PWSRCAC), I finally worked my way to Homer. I grew up having a grandmother who was a painter, photographer and skilled needle art artist. This probably motivated me to become a fiber artist. During most of my time in Alaska, I have been a member of Bunnell Street Arts Center. And here I am. I have the highest admiration for this gallery and the wonderful artists who participate and support it. Bunnell’s Advisory Council provides advocacy, education and guidance for Bunnell’s current Board and advice to Bunnell’s Executive Director. The Advisory Council also provides non-governing representation at Bunnell’s Board meetings. Carol Swartz is a co-founder of Bunnell and served on the board since Bunnell’s inception until 2015. She is the Executive Director of the Kachemak Bay Campus of the University of Alaska and a Homer Foundation Board Member. Jo Michalski is a retired Anchorage entrepreneur with a strong interest in philanthropy and the arts. She has been the President of the League of Women Voters, President of the YWCA board of directors, a charter member of the Alaska Junior Theater, and a board member of the Anchorage Chamber of Commerce. She is a former board member of both the Alaska Community Foundation and the University of Alaska Foundation. Jo is a former Bunnell board member and celebrates the Bunnell as the premier presenter of contemporary Alaskan art in our state! Diane McBride served as the President of Bunnell’s Board of Directors for many years. She moved to Homer in 1969 and holds a Master’s degree in education. She lives in Homer with her family and across Kachemak Bay in China Poot Bay. Strategic planning and endowments are her special interests in her advisory board position. She encourages all Alaskans to support the arts like Bunnell’s Artists in the Schools and Artist-in-Residence programs. Flo Larson is a retired mathematics teacher in the United States for over fifteen years and in SE Asia for six years. She enthusiastically supports Bunnell Arts Center and admires its contribution to the Homer community and Alaska. She served on Bunnell’s Board of Directors for several years before joining the Advisory Board. As an artist and a supporter of artists, I am honored to have been a part of the Bunnell Street Art family for almost 20 years. Alex Combs once told me that the only gallery worth their salt in Alaska was the Bunnell and Asia Freeman was the only one in the gallery business that ‘got it’ for artists. My involvement with the Bunnell has been that of an Artist, a Board Member, and now as a member of the Advisory Board. There is no more nurturing environment for an artist who is just spreading their wings and gaining confidence in their abilities, learning how to present their work, how to apply for residencies and grants. Seasoned artists find validation, supportive friends and positive reinforcement. I’ve never witnessed or experienced a fellowship anything like that fostered through the Bunnell Community. It’s the lucky artist who finds their way to the Bunnell Street Art Center, whether its by way of a residency, an exhibit, a money award to help with a workshop or just visiting the gallery to see another artist’s exhibit. Whether the artist’s style is traditional, experimental or one who is still searching for their voice, the Bunnell is a place of encouragement. I’ve been involved with several artist communities over the years and there is no other Bunnell. I couldn’t be prouder to be a part of this community. I am a Fairbanks painter, art historian, and curator, enjoying my 40th year in Alaska. I worked as a curator at the Alaska State Museum in Juneau, as Artistic Director of the Visual Arts Center in Anchorage, and as a professor at the University of Alaska Fairbanks before retiring to my studio to paint full-time in 2000. It’s been my privilege to work closely, in various ways, with most of the major arts institutions in Alaska, and none has been more energizing and rewarding than Bunnell Street Art Center. I’m honored to serve on its Advisory Board. I am a 20 year member, volunteer and supporter of Bunnell Street Arts Center. I served on its board for fifteen years and as board president for five of them. As an artist and advocate for all forms of the arts, I find continued involvement with Bunnell extremely stimulating and enriching. I believe the arts reflect the highest of human endeavors and to the strength of community. As an advisory council member I am interested in continuing Bunnell’s strong local and statewide leadership in art advocacy, exhibitions, creative place making and its dynamic artist residency program.